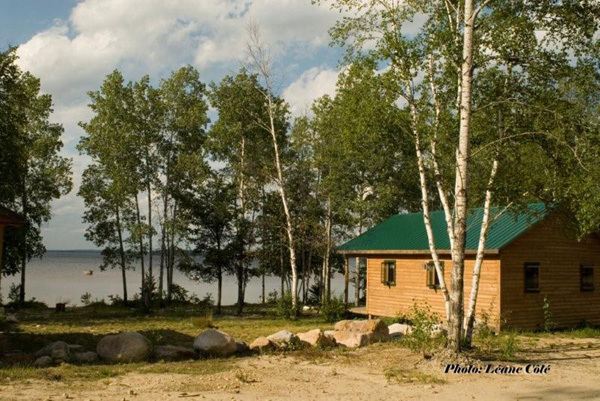 Our semi-serviced campground offers peaceful accommodation in a wooded area near the lake. 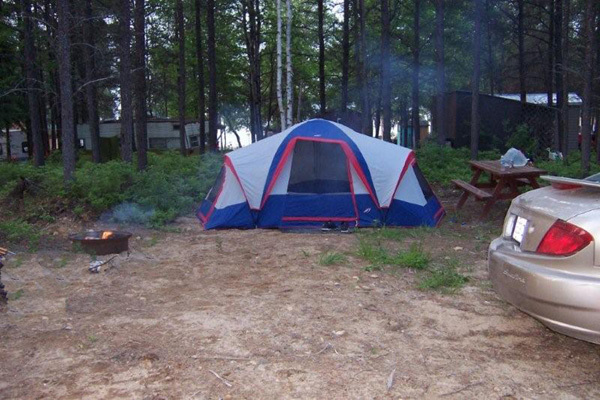 Whether you have a tent, trailer or motor home, we have plenty of room available. 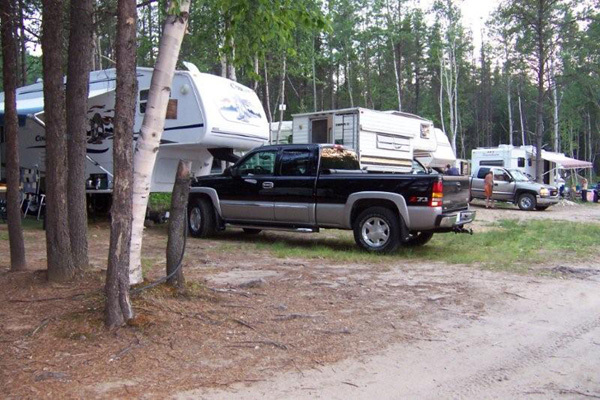 This type of camping is very popular at Matchi-Manitou Lake Outfitters. 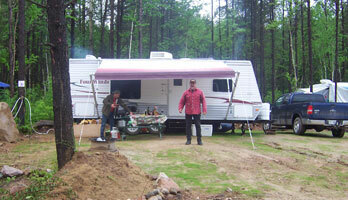 We have 16 sites with water, a dumping station for trailers, picnic tables, fire pits and a central comfort station. 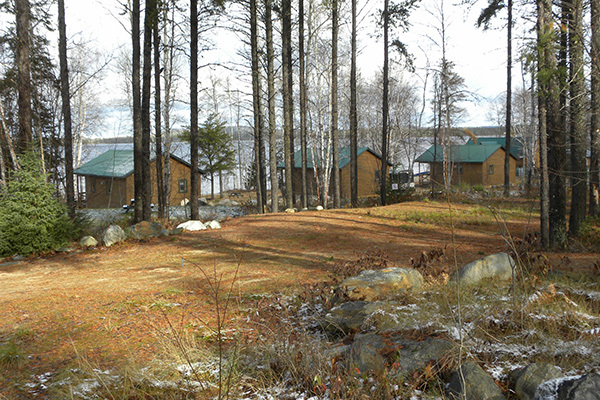 Guests are free to bring their boats or to rent one on site. 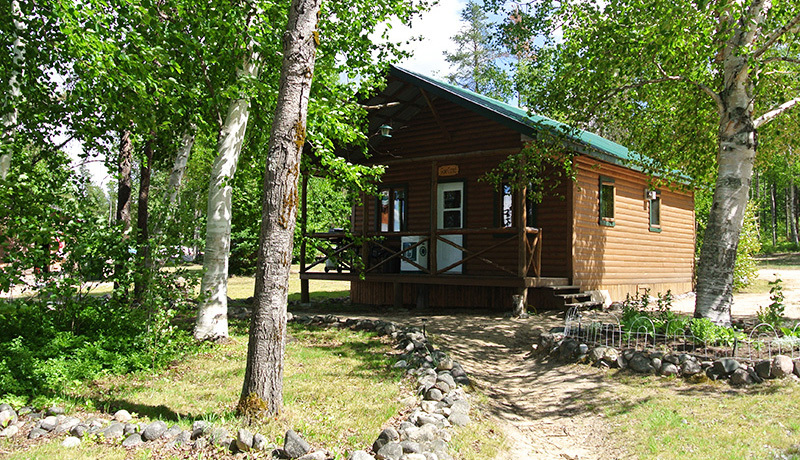 Please note that there is no electricity in the cabins: Everything is powered by propane. Check-in is at 2:00 p.m. and check-out at 11:00 a.m. Please respect this schedule. Yearly family membership: Free admission for children 15 and under. 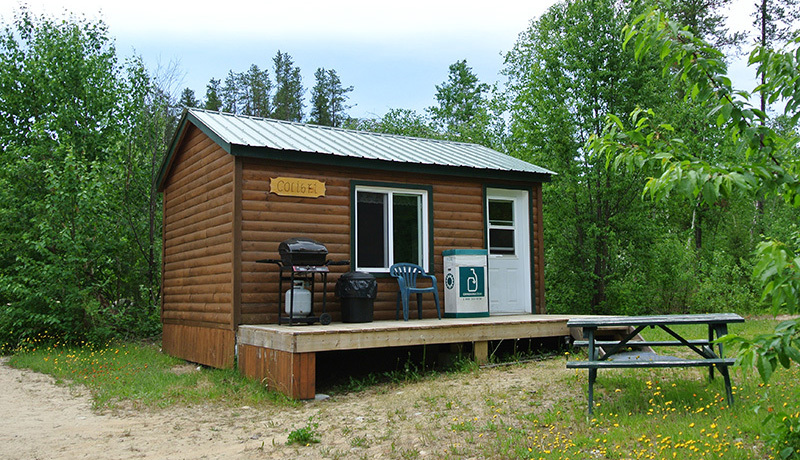 Pets are permitted at Matchi-Manitou Lake Oufitters but must be supervised at all times.